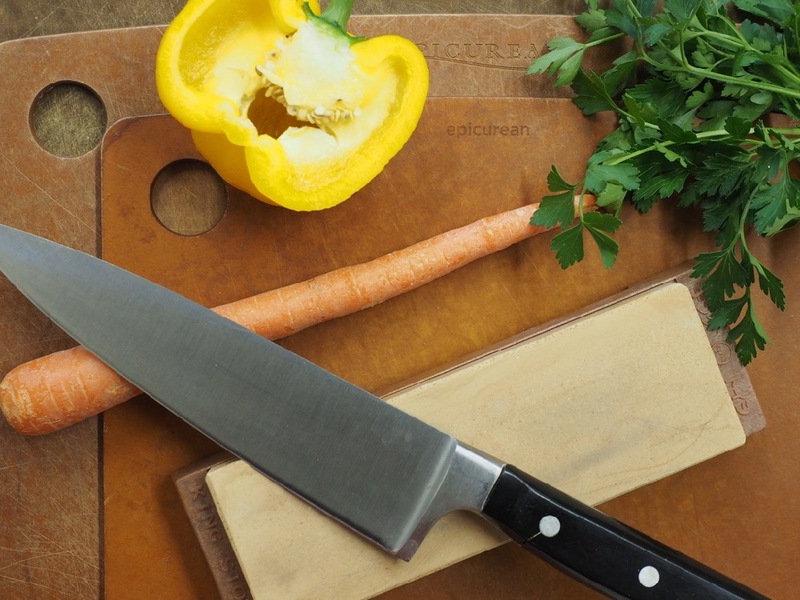 Made of an infused paper fiber called Richlite, Epicurean cutting boards perform like wood and are similarly easy on knives; dishwasher safe, they are not made of plastic. Invaluablist Cutting Boards: Easy on knives, dishwasher safe, and nice to use. On the luxurious end of the cutting board spectrum, Butcher blocks offer a sublime work and cutting experience, but they require regular maintenance in the form of mineral oil applications. Also, heavy butcher block can be inconvenient to move around the kitchen, transporting it to various work areas. Finally, butcher block boards should not be washed in the dishwasher. On the practical cutting board extreme lies plastic cutting surfaces. Plastic boards require no maintenance, are portable, and shrug off time in the dishwasher. But, given a viable choice, who wants to cut and prepare their food on plastic? The seemingly Goldilocks solution lies in Epicurean cutting boards. Related, for those concerned about bacteria and cross-contamination, the portability of Epicurean boards suits them well to be used as a battery. Their relative light weight makes this option practical. One might find it desirable to own several, reserving them for use with different meats. Or, as in my case, to guard one cutting board that is only used for cutting fruit, so one's breakfast fruit never tastes like onions or garlic. Finally, Epicurean boards are dishwasher safe. Odors and flavors disappear in the (also sanitizing) dishwasher. Epicurean boards most certainly profit from the occasional application of a thin film of mineral oil, like maple butcher block, but they also seem to thrive on neglect. Even when washed in the dishwasher, Epicurean boards may be used immediately without mineral oil treatment. One other important feature of Epicurean cutting boards is their heat resistance. The company's website indicates these paper fiber boards are heat resistant to 350°V/176°C. Consequently, they do double duty as trivets. Epicurean boards contrast plastic specimens in this respect. Consider offering an Epicurean cutting board to anyone who has a kitchen. Everyone from food aficionados to cooking newbies would be served well by one or more. Also consider them as housewarming gifts and for white elephant gift exchange offerings.